The Android versus iOS debate will never end. The two operating systems have their die hard fans who will argue until they are blue in the face about why their chosen OS is better than its rivals. No matter which side of the fence you sit on, I’m sure any reasonable person can concede that each operating system has its plus points. Some users believed that one of the more admirable features of the Android operating system was the ability to be able to set live wallpapers on the devices home screen, allowing a higher level of device customization. For those that have no idea what a live wallpaper is, it is the ability to set an animated image behind the application icons to provide a flashy, video type effect. Up until iOS release 2.X, iOS devices didn’t have this ability, and had to rely on having static images set as a wallpaper. As usual in these circumstances the jailbreak development community stepped up to the plate with a developer known as ‘skrew’ producing the initial version of a complex tweak called vWallpaper which as the name suggests allows custom created videos to be used as a dynamic wallpaper. The vWallpaper tweak exists purely as eye candy, to create a more engaging and aesthetically pleasing device and has often been used in conjunction with WinterBoard themes to highly personalize a device. The good news for all those theme lovers and aesthetic tweakers out there is that to coincide with the recent release of an untethered iOS 5 jailbreak the developer has released an iOS 5 compatible version of vWallpaper via his Cydia repository. vWallpaper version 2 is currently in a beta stage and offers the ability to add videos, cool effects (particles, 3D objects), HTML widgets and more on your Springboard and device’s lock screen. 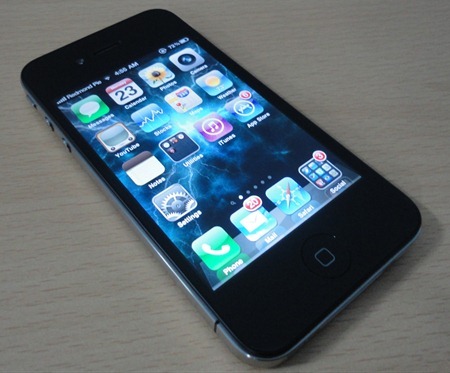 The developer hopes that vWallpaper 2 will help bring those freshly jailbroken iOS 5 devices to life. One major issue of previous versions of vWallpaper is the effect that is has on battery life. Earlier iterations of the tweak have decimated the iPhone battery due to the constant running of a looping video in the background. Android fans will be quick to jump in with the argument that this doesn’t happen to the same extent on an Android device due to the way it handles the animation via Java and HTML5. One can only imagine that if video enabled wallpapers were native in iOS then Apple would handle the approach more elegantly but until that time the vWallpaper release is an extremely accomplished offering. You can add the developer’s Cydia repository by navigating to the ‘Manage‘ tab, selecting ‘Sources‘ and then adding http://deb.danstaface.net. The current beta stage release is free of charge and downloads at a 31.3MB file size. You will obviously need to have jailbroken device in order to set it up. For jailbreaking iOS 5 untethered, follow our complete step by step instructions posted here to jailbreak iPhone, iPad, iPod touch on iOS 5.0.1 using Redsn0w.